I’ve recently (Nov 2011) spent a few days at one of my favourite birding location in sunny Victoria – Goschen Bushland Reserve. Despite it small size (about 25 ha), of all the reserve in Victoria, I think is the most comparable to the grassy woodland areas of Gluepot and Round Hill. 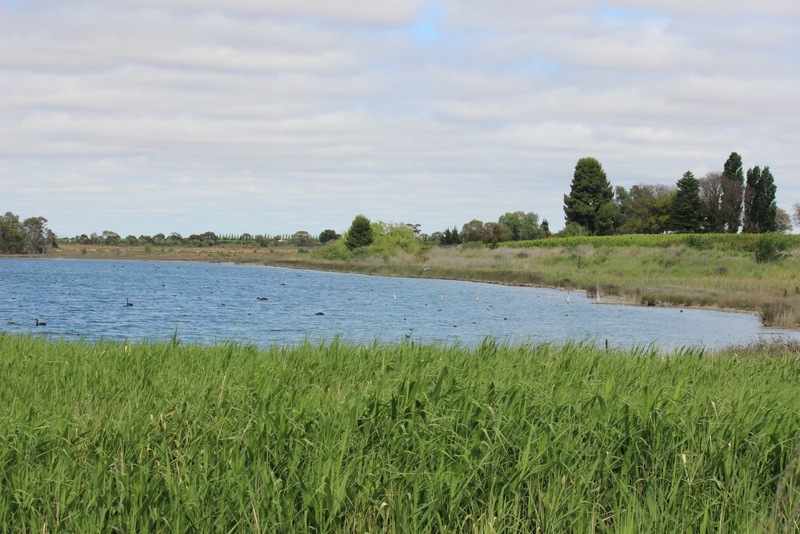 When visiting the areas, are a number other excellent birding site in this part of north-central Victoria (the area between Kerang and Swan Hill). These include Tresco West Bushland Reserves, Lake Tutchewop, Lake Boga, Round Lake, and a small roadside reserve at Gama. 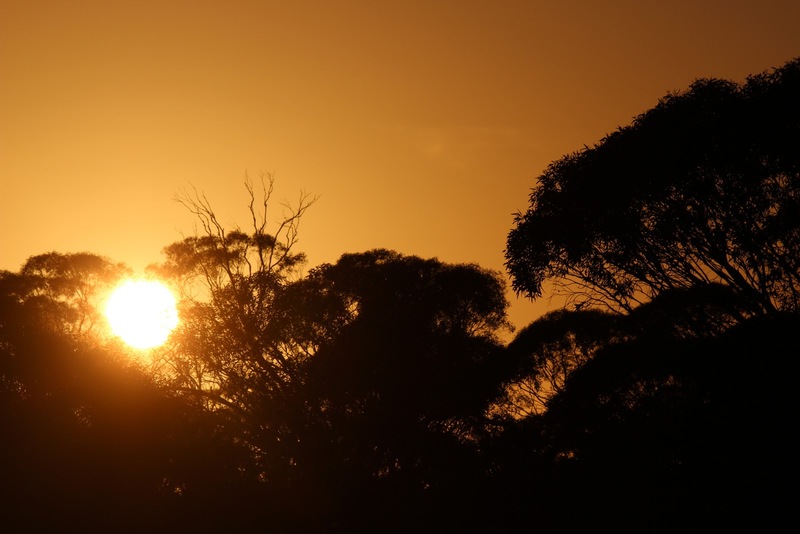 Over the last few years, there has been a number of changes in the birdlife at Goschen, changes that reflect of the conditions across much of south-east Australia. Goschen was once a proposed site for a township, with a church and school – all that now stands is a rarely used hall, tennis courts, and a cricket oval that’s no longer used. In addition to the township area, some adjoining land has been allowed to regenerate into open grassy woodlands. In the south-west of the reserve there is fenced area containing a communications tower. 2009 was a superb birding year in northern Victoria. Interestingly, this was not because of good environmental conditions in the state, rather it was because much of Australia was severe drought, so many of the arid land species, such as Crimson Chat, and the nomadic honeyeater such as Black and Pied Honeyeater, moved to coastal regions in search of food and water. For example, as many as fifteen Pied Honeyeater were seen at Goschen, a very rare species in Victoria. 2010, birdwise, was very quiet in Victoria. The conditions in central Australia were perfect; there had been a lot of rain, so water was plentiful, and there was an abundance of food sources – there was no need to move east and south toward the coast. 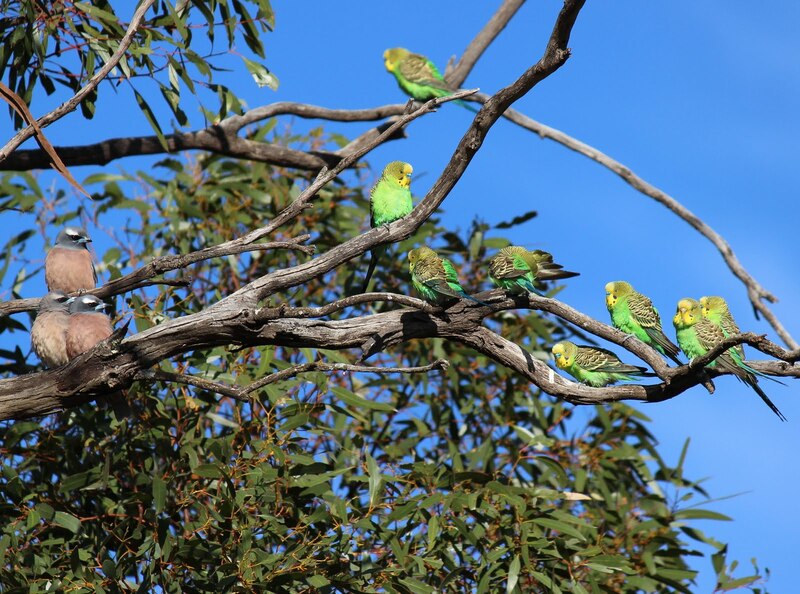 Parrots, for example, in arid Australia did particularly well (such as Budgerigar and rarer species such as Princess and Scarlet-chested Parrot), and there were virtually no waterfowl on the east coast. 2011, by contrast is proving to be another fantastic year in northern Victoria, and large numbers of the nomadic inland species (such as Budgerigar, Black Honeyeater, Banded Stilt and Grey Teal) move towards the coast as the centre of Australia heats up. I have visited Goschen Bushland Reserve many times, and it is the usual starting point for our 24-hour Twitchathon. The reason we start is simple. It is the most southerly site for seeing a range of northern arid-land species, such as Black and, occasionally, Pied Honeyeater, Crimson Chat, Cockatiel, Budgerigar, Blue Bonnet, Pied Butcherbird, Yellow-throated Miner and Chestnut-rumped Thornbill. It is most productive in late spring, and summer, especially when there have been some good rains in the region. To get there from the Lake Boga township, turn left onto the Ultima-Lake Boga Rd until you reach the Donald-Swan Hill Rd intersection. Go through the intersection and there is a dirt tracks leading right into the reserve. This loops around through the reserve (past an old hall and a little-used tennis court) back to the road 250 m further west (past a large telecommunication tower). There is bush-camping only at Goschen. If you want, there is a good caravan park overlooking Lake Boga, and in Swan Hill there is a wide range of caravan parks and motels. 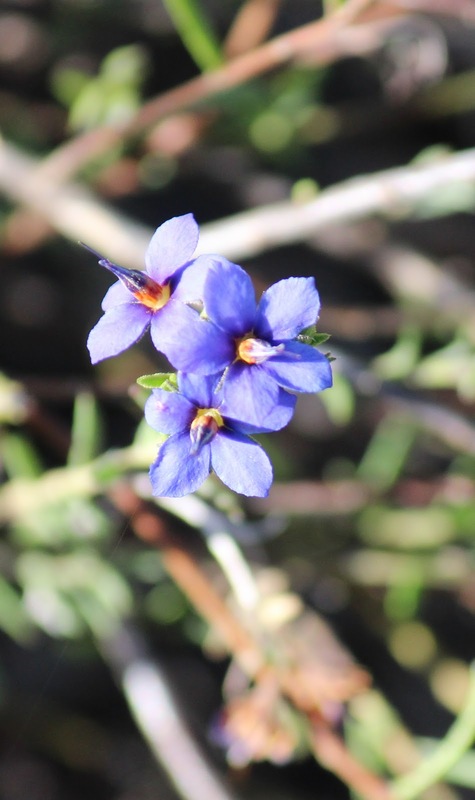 On your way to Goschen, check the roadside vegetation along Ultima-Lake Boga Rd for Blue Bonnet (yellow-vented race haematogaster), Cockatiel, Pied Butcherbird, Rufous Songlark and Yellow-throated Miner. 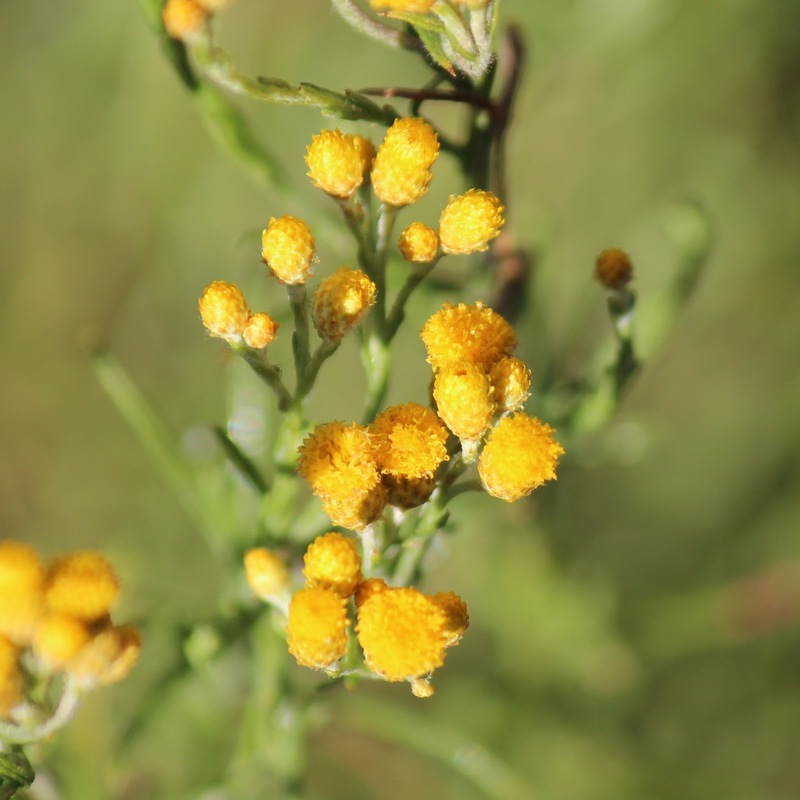 The flora in the reserve is a mixture of mallee eucalypts and open grassy shrublands. 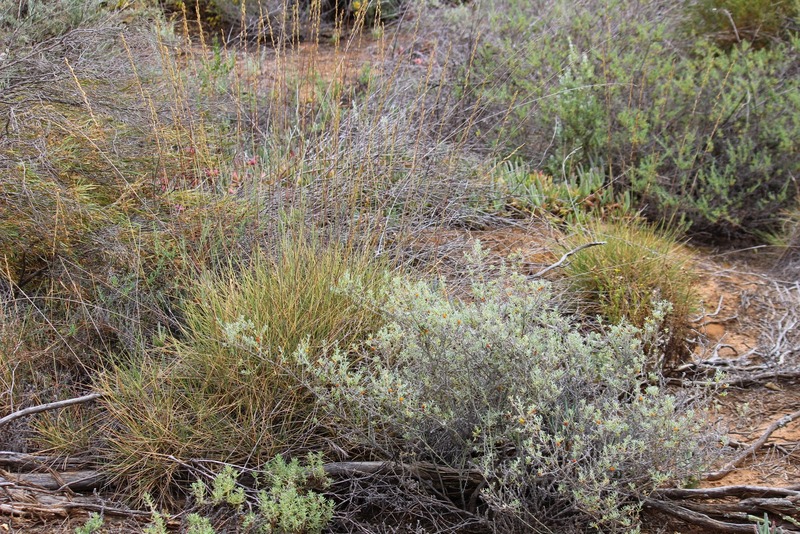 The ground mainly cover consist of native grasses such as Pink Mulla Mulla (Ptilotus exaltus), flowering shrubs such as the Mallee Blue Flower or Rough Halgania (Halgania cyanea), Native Hops (Dodonaea viscosa), Desert Cassia (Senna artemisioides), Inland Pigface (Carpobrotus modestus), and larger trees such as and White Mallee (Eucalyptus dumosa). When flowering, these are very spectacular. However, the real speciality of the reserve (in terms of bird attracting plants) is Long-leaf Emu-bush (Eremophila longifolia) – also known as Berrigan – a small rough barked tree (usually between two to six metres in height), and vital food source for some of the nomadic inland honeyeaters such as Black, Pied and to a lesser extent, White-fronted Honeyeater. In terms of the commonality of honeyeater species, at Goschen, there are occasional reversals of status; common honeyeater become scarce, while uncommon nomadic honeyeater – such as Black and White-fronted – becomes common. From a birders viewpoint, it doesn’t get any better than that! 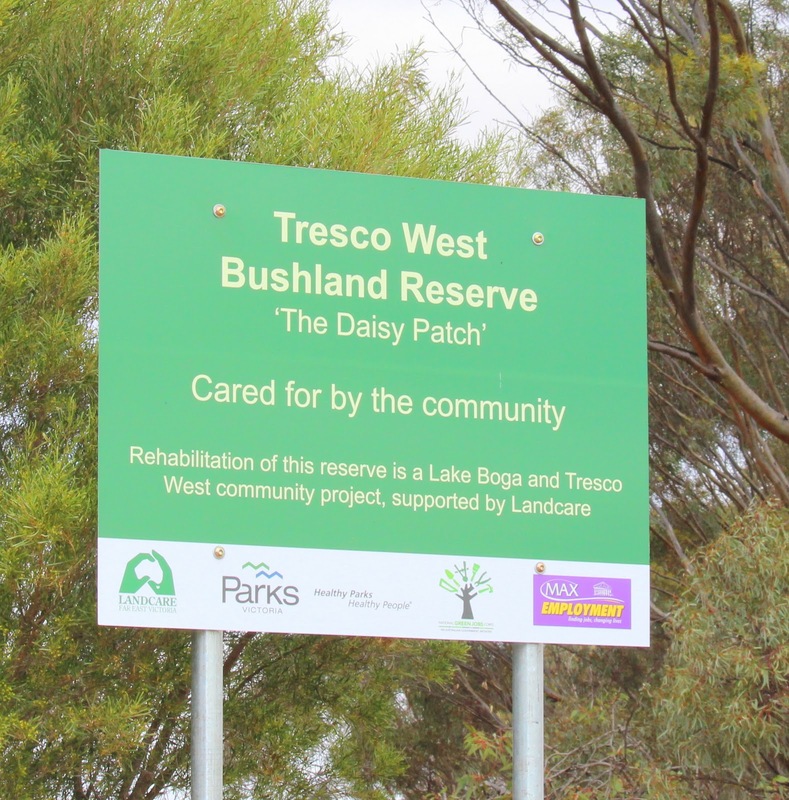 Tresco West Bushland Reserve (discussed in detail below), known locally as the ‘Daisy Patch’, has a similar range of species. Interestingly, on this last tip I came across a small patch of Spinifex (Triodia scariosa). I’ve not seen this species previously at either Goschen or Tresco West, and as far as I’m aware, this is the most south-eastern patch of Triodia in Australia (with the nearest Triodia least 100 km to the west. A good spot to look for and Crimson Chat, Black and, occasionally, Pied Honeyeater, is along the track between the tennis court and the telecommunication tower, located in the west side of the Reserve. Here there are scattered flocks of Budgerigar and occasional Cockatiel. Despite both species being icons of Australia, they are quite uncommon in Victoria, only become apparent during ‘good years’ – when there has been just the right amount of rain, and just the right amount of vegetation growth. This area can also be good for seeing White-browed and Masked Woodswallow, Chestnut-rumped Thornbill, Hooded Robin, and White-winged Triller. Little Button-quail can usually be flushed from the grassy area just east of the tennis court, particularly near an over-grown cricket pitch. Here also you can see Budgerigar, Cockatiel, and Peaceful Dove. Immediately east, and south-east, of this grassland area, look for Variegated Fairy-wren, Yellow-plumed and Spiny-cheeked Honeyeater, Yellow-throated Miner, Red-capped and Hooded Robin, White-browed Babbler, Varied Sittella and Brown Treecreeper, while Australian Owlet-nightjar are sometimes flush from tree hollows during the day, particular in the south-east corner. During the good seasons, Peregrine Falcon feasted on the abundance of Woodswallow and Budgerigar, swooping upon them from a vantage point on the communication tower. The range and variety of birds at Goschen tends to fluctuate from year to year, depending on the amount of rain, the seeding of native grasses, and the availability of flowering plants such as the eucalypts and Long-leaf Emu-bush. For example, 2009 particularly good for Black and Pied Honeyeater, Crimson Chat, Rufous Songlark, White-winged Triller and Zebra Finch, while 2011 has proved to be superb year (so far) for Little Button-quail, Budgerigar, Cockatiel, Rainbow Bee-eater, Black Honeyeater and Rufous Songlark. 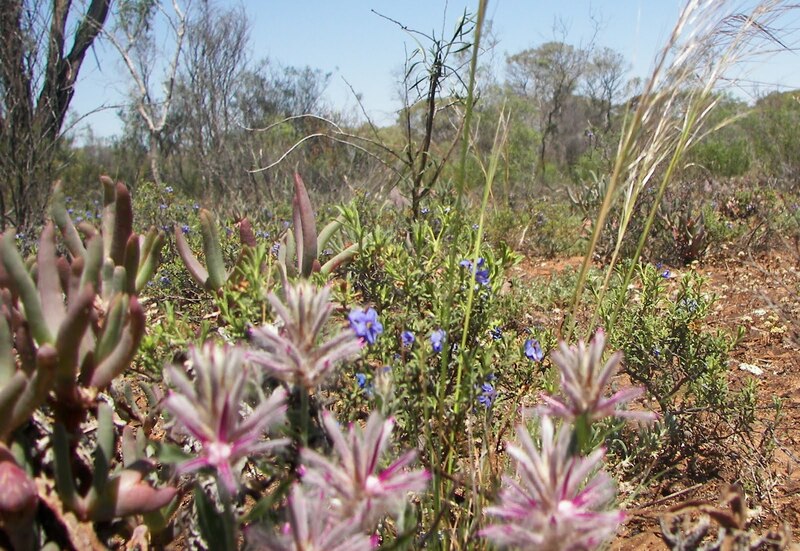 Tresco West Bushland Reserve is located 3 km south-west of Lake Boga. To get there take the Lalbert Rd out of town, passing the golf course. The Reserve borders the Lake Boga Golf Course (a good spot for birds), and surrounds the Golf Course Lake. Somewhat similar to Goschen (in terms of birds and vegetation), the habitat around the edges of the golf course includes several stands of Long-leaf Emu-bush – heck for Black and Pied Honeyeater, while Little Button-quail occur in areas of long grass around the golf course. Here you may also see Blue Bonnet, Cockatiel, Budgerigar, Pied Butcherbird, Variegated Fairy-wren, Zebra Finch and, occasionally, Crimson Chat and Red-backed Kingfisher. When there is water, the saline Golf Course Lake attracts shorebirds such as Red-necked Avocet, Banded and Black-winged Stilt, Greenshank and Marsh Sandpiper, and flocks of hawking Whiskered Tern (spring). Probably the best spot for woodland birds at Tresco West is the south side of the lake, particularly the south-east corner. To get there, from the Golf Course, continue along Lalbert Rd to the reserves south-west corner. Here several tracks head east – the southern-most track is named Winery Rd. Birdwatch along both tracks for the next kilometre. In spring, this is a good area for Black Honeyeater, particularly in the stands of Long-leaf Emu-Bush, located the grassy woodlands bordering the lakes. patch of this Spinifex in Australia? As far as I can I am aware, is at least 100 km from other known sites. Other birds here include Pied Butcherbird, Crimson Chat, Rainbow Bee-eater (summer), Singing, White-fronted and Spiny-cheeked Honeyeater, White-browed Babbler, Blue Bonnet, Cockatiel and Budgerigar, occasionally Red-backed Kingfisher, and Zebra Finch. When visiting Goschen Bushland Reserve, there are a number of other excellent birding locations nearby (discussed below). One kilometre west of the township of Lake Boga, on the Ultima-Lake Boga Rd, it is worth stopping Round Lake. Here you may see Whiskered Tern (summer), Black-winged Stilt, Hardhead, Australasian Shoveler, Blue-billed, Pink-eared and Freckled (rare) Duck, Great Crested, Hoary-headed and Australasian Grebe, Great, Intermediate and Little Egret, and, when the water level is low, Australian Spotted and Spotless Crake feed on the muddy edges. Along the roadside here, you can see Yellow-throated Miner, Spiny-cheeked Honeyeater, Tree Martin, and White-breasted Woodswallow. Just north of here, a kilometre along Long Lake Rd, there is a nice patch of Long-leaf Emu-bush, which, when flowering (usually late spring), can attract Black, Singing and Spiny-cheeked Honeyeater, White-winged Triller and Rainbow Bee-eater. influx of this species – arriving in Victoria after breeding at Lake Eyre. The saltbush surrounding Lake Tutchewop supports a healthy population of White-winged Fairy-wren and, in late spring/summer, Orange Chat. The best place to see them is along a track that runs along the western side of the lake (between it and a small water channel). The southern entrance leaves the Murray Valley Hwy, beginning immediately north of the Lake Steggals Rd intersection. The tracks northern entrance starts on the Benjeroop-Tresco Rd – starting immediately after you cross a small water channel 3 km west of the Murray Valley Hwy. Aside from White-winged Fairy-wren and Orange Chat look for Blue-winged Parrot, Blue Bonnet, Cockatiel, Black-faced Woodswallow, Brown Songlark, Fairy Martin, White-fronted Chat, and Zebra Finch, and raptors such as White-bellied and Wedge-tailed Sea-Eagle and Marsh and Spotted Harrier. Lake Tutchewop is also major inland site for migratory shorebirds. Shorebirds recorded here include Common Greenshank, Red-necked Stint, Curlew, Marsh and Sharp-tailed Sandpiper, Double-banded (winter) and Red-capped Plover, Banded (4000+ in 2011) and Black-winged Stint, Red-necked Avocet and Banded Lapwing. 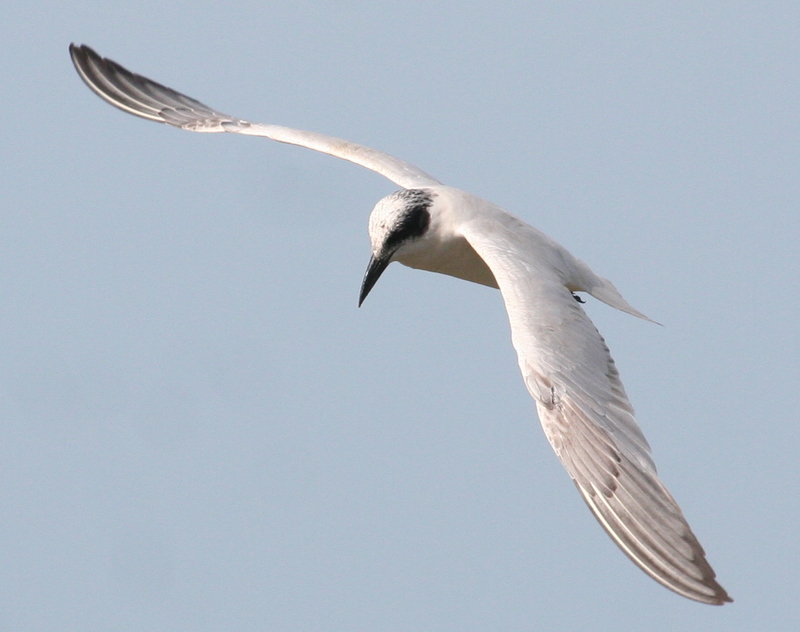 Waterbirds using the lake include Pink-eared and Freckled (rare) Duck, Grey Teal, Australasian Shoveler, Caspian and Whiskered Tern, and occasionally Gull-billed and White-winged Black Tern. 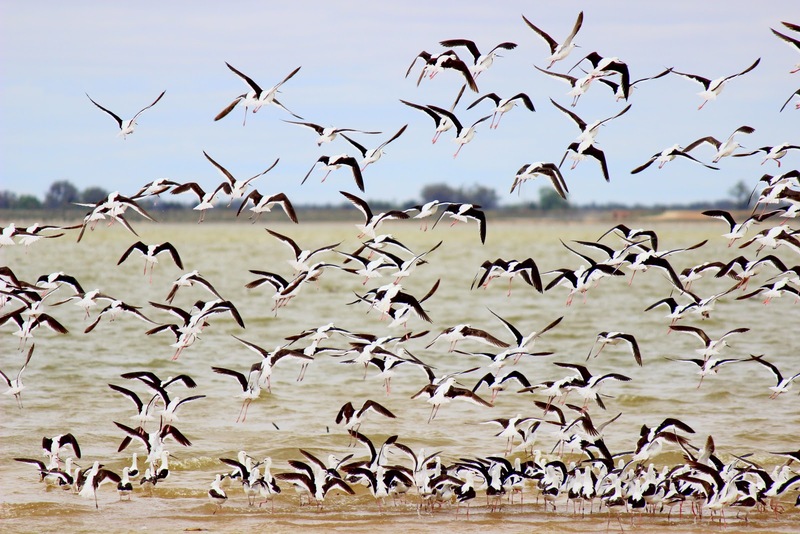 Given the right conditions, waterbird can be plentiful on Lake Boga. Lake Boga is 320 Kilometres from Melbourne via the Murray Valley Highways. Here I have seen Great Crested Grebe, Whiskered, Caspian and Gull-billed Tern, Blue-billed, Pink-eared, Musk and Freckled (rare) Duck, and Australasian Shoveler, while Blue-faced Honeyeater feed in the trees around the lake. 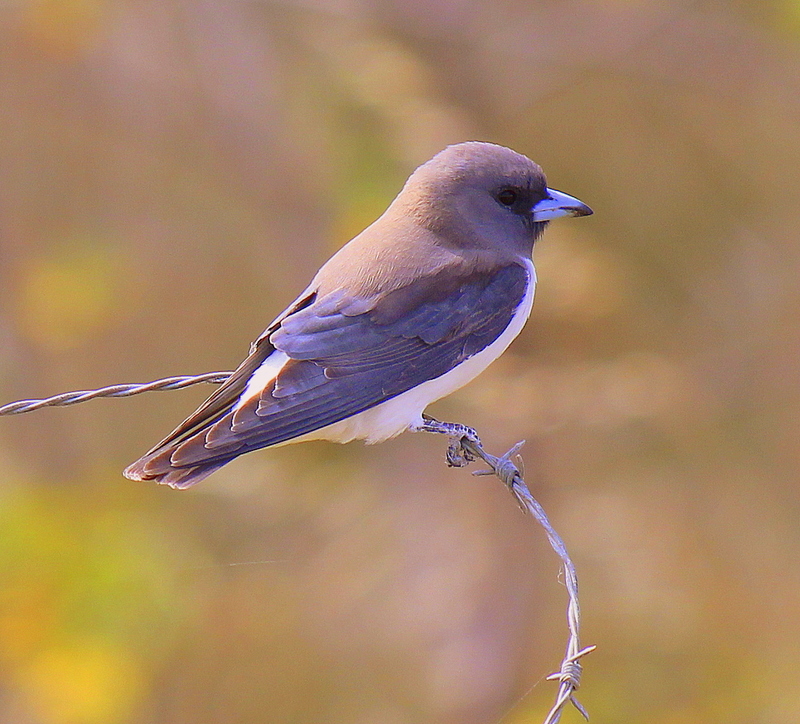 In spring and summer, White-breasted Woodswallow roost on the powerlines around the Lake Boga. to Lake Boga and Tutchewop. Just north of Kerang, Foster Swamp, and the adjacent to the Kerang Treatment Plant, at the end of Park St, are worth investigating, particularly in summer when species such as Greenshank, Marsh, Wood, Curlew and Sharp-tailed Sandpiper, and Pacific Golden Plover, start appearing in southern Australia. Other birds here include Whiskered and Gull-billed Tern, Australasian Shoveler, Pink-eared and Freckled (rare) Duck, Black-tailed Native-hen, Red-kneed and Black-fronted Dotterel, Australian Spotted and Baillon’s Crake, Black-winged and Banded Stilt, Red-necked Avocet, and White-winged Fairy-wren. Just north of Kerang, it is visiting the Loddon Weir, located on Weir Rd. A nice collection of interesting species have been recorded here include Gilbert’s Whistler, Western Gerygone, Painted Honeyeater, Red-capped Robin, Grey-crowned Babbler, White-bellied Cuckoo-shrike, White-breasted Woodswallow, and Chestnut-rumped Thornbill. Located in Kerange Back Swamp, a series of wetlands between the town and the Loddon River, usually holds a nice selection of birds. Interesting species recorded here include Glossy Ibis, Buff-banded Rail, Nankeen Night Heron, and Grey-crowned Babbler, White-winged and Variegated Fairy-wren, Little Friarbird and Blue-faced Honeyeater. Blue-faced Honeyeater is also found in Atkinson Park (in the main street of Kerang), and, when the gums are flowering, there can be large numbers of Musk and Little Lorikeet. 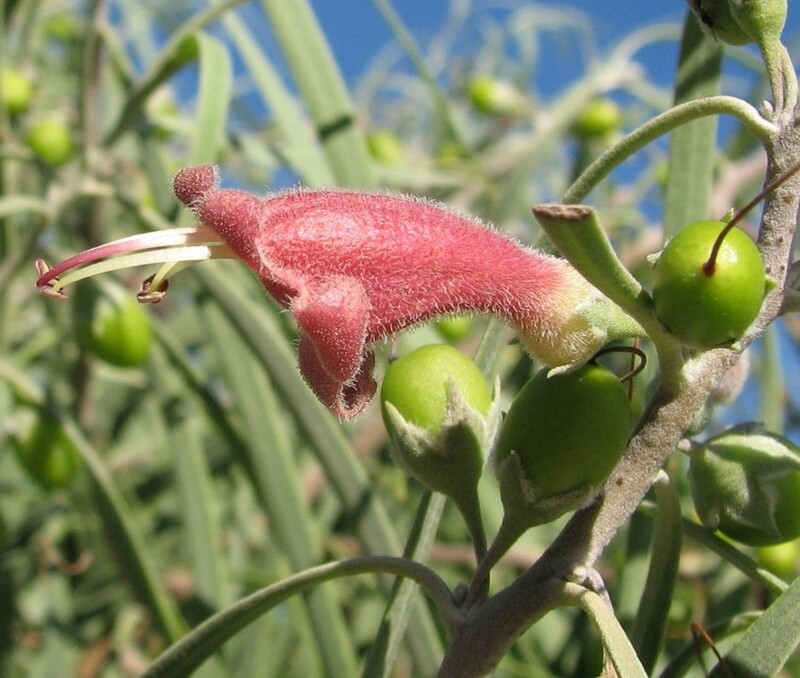 West of Goschen, another good site nearby for Black Honeyeater is Gama Roadside Reserve, located the corner of Gama Sea Lake Rd and the Sunraysia Highway, particularly when Eremophila longifolia is flowering in spring and summer. Despite its size (it hardly seems to be a reserve at all), looks can be deceptive. Aside from Black Honeyeater, other birds recorded here include Brown Quail, Mulga Parrot, Blue Bonnet, Variegated Fairy-wren, White-fronted, Spiny-cheeked and, occasionally, Pied Honeyeater, White-winged Triller, Hooded Robin and White-backed Swallow. 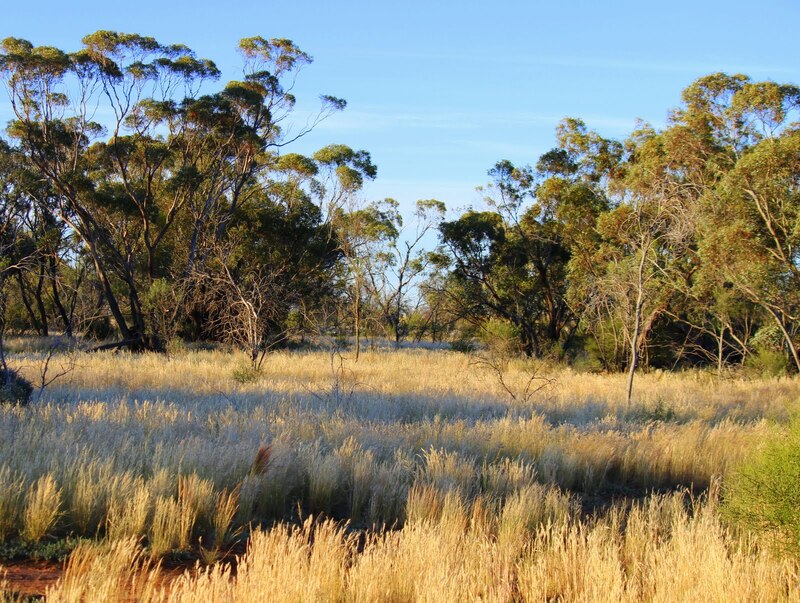 2016 Addendum – Goschen Bushland Reserve gets a deserving face lift! I was recently asked about whether Goschen Bushland Reserve would be good for birding this year (2016). As discussed above, when the conditions are just right it’s fantastic for nomad species such as Black and Pied Honeyeater, Crimson Chat, Budgerigar, Cockatiel, Masked and White-browed Woodswalllow and Rainbow Bee-eater. After doing some bird guiding arounf Hattah (2nd time I’ve been there is 2 weeks), I thought I’d drop into Goschen on the way home and see what it was like. To my total surprise Goschen has had a facelift, with brand new fencing surrounding the entire reserve! There’s a single access point, half way up the reserve on the Lake Boga Ultima Rd, and it’s walk-in only. There’s also a brand new reserve sign, and it acknowledges the traditional owners of the land. This is all great news! Previously Goschen had a number of tracks leading into the reserve and, as a result, was often used as a place to dump rubbish. Indeed there was little acknowledgement that it was a reserve at all; to most people it would look like a bit of uncleared farmland. So why the upgrade? I suspect that the interest and publicity Goschen has received from birdwatchers has paid off! Parks Victoria seem to have acknowledged that this reserve is a pretty special place. And I agree 🙂 It features in several well-known bird books, and over the last few years has gained a significant web presence. So, I suspect Parks decided to pay the reserve the due respect it deserves and manage it a bit better. So, to answer the original question, what is Goschen like this year? It’s looking spectacular! Totally green and very lush, with wild flowers everywhere. The soil is very damp from all the rains and, unfortunately, mosquitoes are also everywhere! If visiting, take repellent. Most of the nomads are absent. This is due to the good conditions across central Australia – the nomads are all but absent across Victoria. This might change, but I suspect we’ll have to wait until next year. If you’re planning to do a Victorian Big Year, I reckon next year is the year to do it. Despite this Goschen was full of birds. One nomad, Rufous Songlark, is everywhere, and calling incessantly. Interestingly the reserve is full of Blue Bonnet. Despite being common along the roadside vegetation in the area, from my experience you usually don’t see them in the reserve itself. Best bird in Goschen was Black-eared Cuckoo – cuckoos generally seems to be doing well in Victoria. While other birds seen included Australian Ringneck, Western Gerygone, Peaceful Dove, Tree Martin, Hooded Robin, large numbers of Common Bronzewing, Jacky Winter, Pied Butcherbird, Brown Treecreeper, Yellow-throated Miner, Little Eagle and Singing and Spiny-cheeked Honeyeater. At nearby Lake Boga there are large numbers of White-breasted Woodswalllow, and there are good numbers at other sites. A superb ground cover of Pink Mulla Mulla (Ptilotus exaltus), Rough Halgania (Halgania cyanea) and Inland Pigface (Carpobrotus modestus).